Named indicator - base case, supported with 4 methods for each indicator (see Indicator catalog for usage examples). String functionName - indicator name, this can be predefined JForex indicator or custom indicator that has been added to the JForex client or registered with it (see description here ). 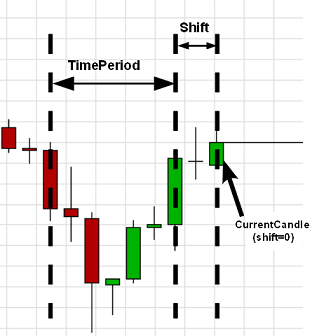 shift - number of candles back starting from the current bar. 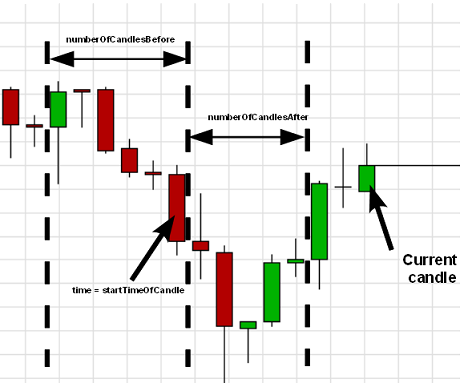 0 - current candle(currently generated from ticks), 1 - previous candle(last formed candle), 2 - current candle minus 2 candles and so on. Some indicators have recurrent calculation formula - next output value depends not only on input values, but also on previously calculated output values. As a result, such indicators have unstable period - some number of additional candles must be used in calculations before we can obtain stable value of indicator. 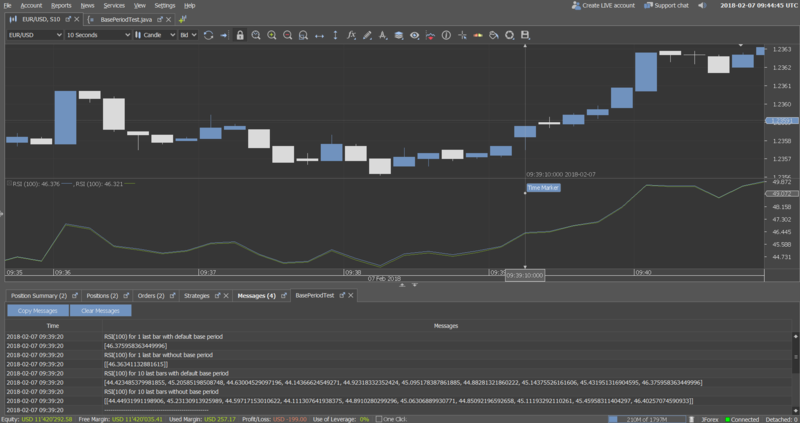 MAX(4 * Lookback, 100) additional candles are used in JForex for unstable-period indicators calculation on charts and from strategies, but calculated values still can slightly vary for the same indicator with identical parameters on the same candle, because they depend on start candle for calculations anyway. Therefore, base period was introduced in JForex to solve this problem - indicators calculation always start from first candle in corresponding base period interval (plus additional candles for unstable period before it).